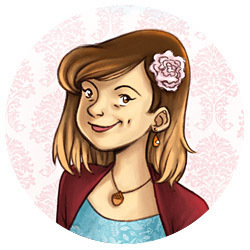 Gemma is a 2D illustrator and animator with a passion for all things drawn. She grew up in North Wales, UK, and was homeschooled until the age of sixteen when she studied a National Diploma in Interactive Media at Yale in Wrexham (2007-09). It was there that she discovered a calling for the art of making moving images rather than still ones and to tell stories with engaging characters by mixing digital and traditional mediums. She went on to study a BA (Hons) Animation at the University of Wales, Newport and graduated in 2012 with First Class Honours and received "Best Film" and "Best Animation" for her graduation film Acorns. The film also won the Royal Television Society Wales Centre Award for Undergraduate Animation in February 2013. Coming from a home-educated background, her aim in making her 2D animated short was to present the nostalgia of her childhood and the trials of growing up using the charms of character animation and visual storytelling without dialogue. After graduating, Gemma worked as a Line Tester (Runner Department) at Lupus Films in London on Channel 4's sequel to Raymond Briggs' The Snowman, named The Snowman and the Snowdog (2012). In addition to 'line testing' animation on paper under a camera, Gemma went on to work in the rendering department hand-colouring scenes with Caran d'Ache pencils. Since then, she has been an animatic artist for Bing (2014) at Tandem Films, London, a storyboard artist for Scream Street (2015) and Little People (2016), an animation lecturer at Futureworks, Manchester, an assistant animator for Ethel & Ernest (2016) and We're Going on a Bear Hunt (2016) at Lupus Films, London, and a 2D animator in Angoulême, France for Lorenzo Mattotti's The Bears' Famous Invasion of Sicily (2019) at Prima Linea Productions. In between projects, Gemma enjoys creating her own characters and worlds and realising them through doodles, illustrations, animation or comic strips. She loves to listen to music while working (predominantly rock: alternative and progressive and game and film soundtracks), and watch films, animated shorts and features, read fantasy novels and 'art of' books and play video games in her free time as well as do yoga and archery (recurve). In addition she's an avid tabletop roleplayer in an epic fantasy world, a lover of English tea, and Asian cuisine and exhibits her work around the UK at conventions with an all-female comics collective called Wine & Zine co-founded with her University friends in 2017. Gemma uses many methods of creating, including the Adobe CS Suite (Photoshop, Flash, Illustrator, Premiere, After Effects), TVPaint Standard Edition, Procreate on an iPad Pro with Apple Pencil, a Wacom Cintiq 21HD Graphics Tablet, a pegbar/lightbox, and pens/pencils/paints with a small library of sketchbooks.